A specialist Shropshire college for young adults with learning difficulties and disabilities is urging business owners to support staff and students by sharing their industry knowledge. Derwen College, in Gobowen, near Oswestry, is asking experts in a number of different fields to become "industry champions" for the college. The college has a number of business leaders who offer advice, support and training to staff and students in retail, hospitality, horticulture and creative arts. Neil Bevan of Oswestry-based graphic design and marketing business Hunter Bevan Ltd, and Llanfyllin Spar owner Mark Prust are the college’s most recently appointed industry champions. Mark Prust is the owner of the second-generation business, which was established in 1975. He said he was delighted to volunteer as an industry champion to support retail staff and students, and he will also keep the college up-to-date on the latest technologies, training and best practice. 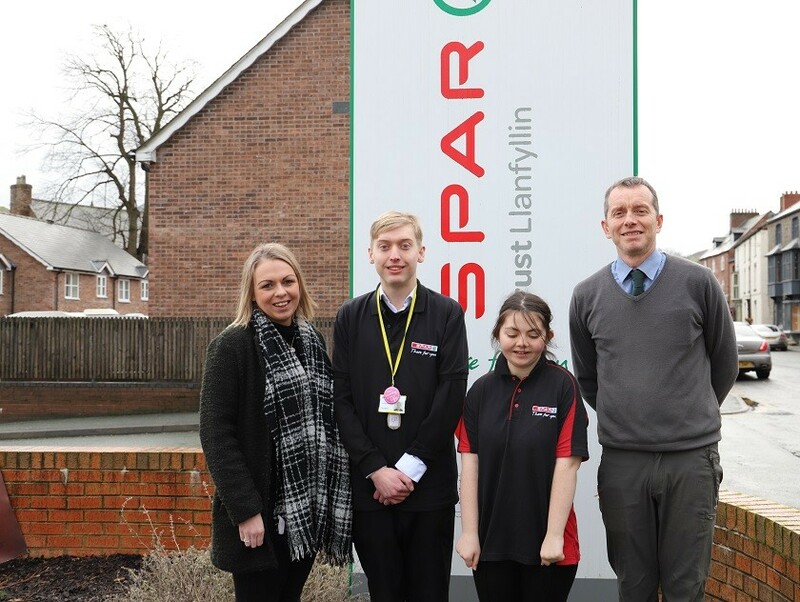 Retail students Thomas Alexander and Sian Walker travel to Spar every Tuesday morning for external work placements. Mark said: "I was pleased to be asked to contribute my retail experience to enhance the work done at Derwen College. I hope to be as pro-active as possible in helping out with discovering and understanding latest innovations. At Spar we are continuously looking at the latest technology and training for till systems, stock-taking and health and safety which is information that we can share with college staff and students. “We are pleased to welcome Mark as industry champion for our retail studies pathway. We value the experience and knowledge of businesses and business leaders in the community who can ensure that we remain current in our practices. “We would benefit from more industry champions to support us in all our vocational pathways. We hope that people with expertise in retail, hospitality or horticulture will come forward to offer their support - it's a rewarding role that can help businesses give back to their local area, support our students in their learning and help to promote inclusivity in the workplace."